Being a sports lover since I was very young, I found in football a passion that followed me all my life. Attracted by all the values ​​that make up football since my childhood I had the opportunity to participate in various sporting events. Always enjoying the simple plan of going to a football stadium with my family or my friends, or even being able to debate about the news that happened in the world of football during my day to day. These were always moments that I really appreciated, but at the end of the day everything ended up being a time of friends or even a hobby that did not end up meaning something else. In 2016, I was part of the product department of one of the world’s most important multinationals in the technology industry as an intern. In this experience I managed to learn a lot about project management and business strategies. No doubt it was an ideal place for a person who was close to finishing his college degree, but for me personally it was not. I saw the workday like many other people who simply assume the schedules in their respective jobs without finding the “value” to what they do. I think the only way to know you’re in the right place is to think about it 24 hours a day. One day I decided to connect to what I liked the most, my passion towards football, alongside with what I knew how to do best, taking advantage of my studies in business. I decided to focus on fulfilling what really made me happy, no matter how long the road might be. I sought to set short-term goals that could open a door for me in what I had always dreamed of, working in the world of football. Initially I started connecting with people who were looking for the same thing. Nowadays I have the opportunity to be part of a start-up in Colombia focused on promoting football along with education. We started by representing young players and supporting a youth team that competes on a national level. A project that has a very interesting long-term objective. This was a step forward in my goal of getting into the football industry, but I knew I had to prepare myself if I wanted to enhance what I had started. This was when I found the opportunity to join The FBA, a master focused on Football Business with people from all over the world. It was the perfect opportunity to learn about the football industry from an international perspective, and also to take a step forward in the world of modern football. Today I’m doing my internship at Girona FC. A club that belongs to one of the most important leagues in the world and to a very important business group like City Football Group. Inside the club I am part of the Partnership and Corporate Hospitality department. Something that for my work experience in creating new commercial strategies to promote projects was perfect because in the club the Corporate Hospitality area was launched precisely for this season 2018-2019. Being a completely new department for the club I had the possibility to be part of a project that is starting from scratch. This marks a very important experience for my professional career because I can live the whole operative and commercial process of how a new project is managed in a professional football club. Being part of the Corporate Hospitality department and having responsibility in the VIP area of ​​a football club is a great motivation but also a great challenge because I have direct communication with the potential clients of the club, and on the other hand the main partners as well. 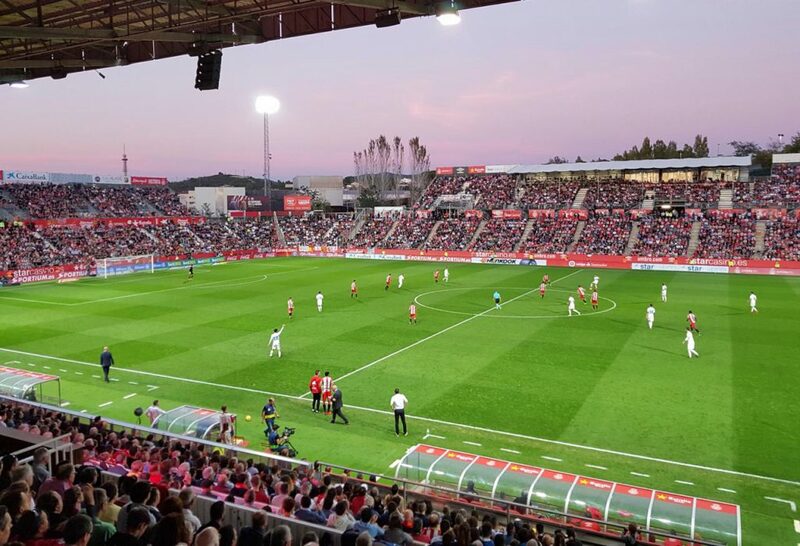 My experience in Girona FC so far has been amazing, from the first day I had to learn to enjoy all the roller coasters that my day could have. The excuses disappeared and automatically my mentality was different, I was enjoying what I was doing. Thanks to The FBA and Girona FC I can be part of different commercial activations or events where I am surrounded by football superstars. Moments that years ago seemed to be impossible. Having the opportunity to spend some time with players’ relatives and friends in a more private environment, being able to watch the game with business people who were expecting to see all their commercial assets in place and having a more direct relationship with all the members of the club, it is something I would never have imagined but now I appreciate a lot. For me personally it has been something special and very valuable to be able to experience the sensations of a football team during the season. It is amazing to be part of the pressure, frustration, joy and all the feelings that a game of football can leave us. All these feelings are what today give me the strength and motivation to wake up every morning and remember that I was once living one of my dreams being part of the World Cup as a spectator, but today I continue living my dreams but with a completely new perspective, this time from the inside of the world of the football business. 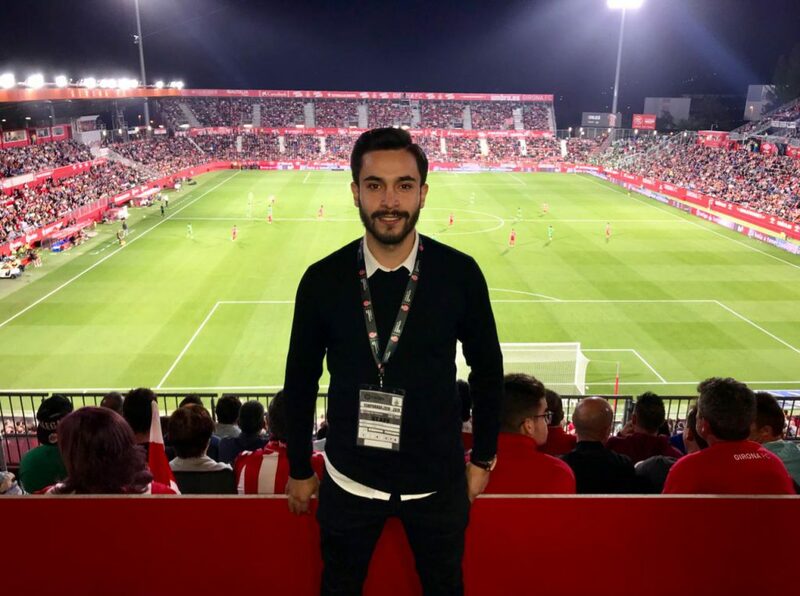 David Castro is a Candidate of The FBA’s Professional Master in Football Business 2nd Edition, expected to graduate in March 2019. He can be contacted via LinkedIn.